London falling! The murderous assault on MI-6 has spilled out of the shadows and onto the streets of Britain's capital! 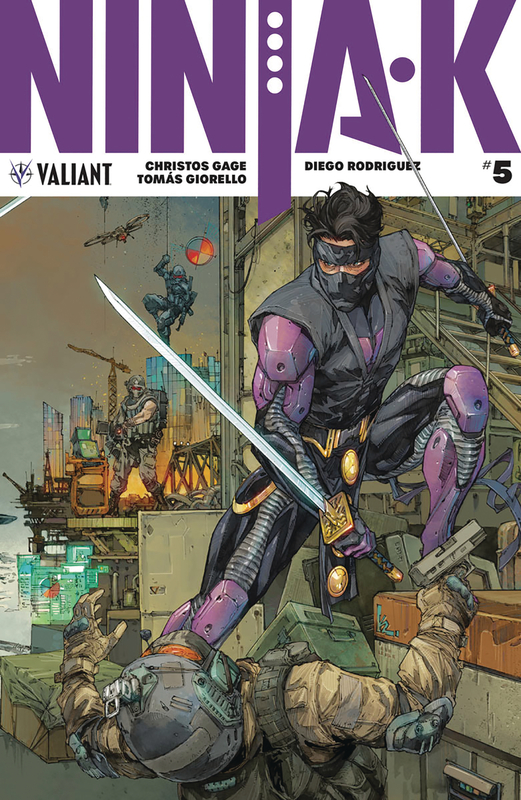 With his would-be killer unmasked, can Ninjak grapple with the truth behind the bloodstained legacy of MI-6's covert Ninja Programme?and an opponent with more experience, more precision, and more ruthless instincts than any he's faced before? Acclaimed writer Christos Gage (Netflix's Daredevil) and superstar artist Tom?s Giorello (X-O MANOWAR) unlock the secret of 'THE NINJA FILES' as Colin King dares death onward!